Based on one of the most heroic missions ever told. 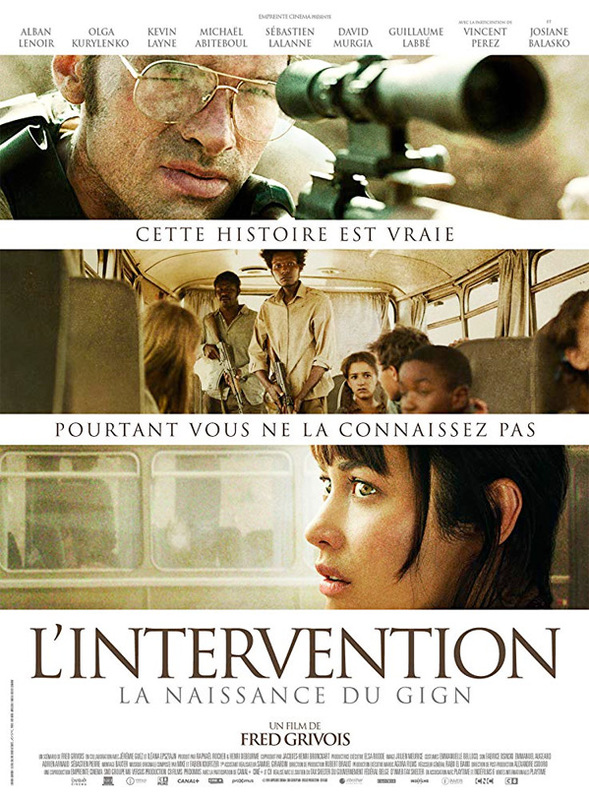 A group of Somalian rebels hijack a school bus with twenty-one French children and an American teacher (Olga Kurylenko), and drive it to no-man's-land, on the Somali border. French captain André Gerval is called to lead a team of elite snipers to secretly prepare an emergency rescue. With time running out, Gerval and his team take sole responsibility of carrying out a simultaneous five-men sniper attack to get the children and their teacher out safely. 15 Minutes of War, also titled L'intervention, is directed by Quebecois filmmaker Fred Grivois, formerly a title designer and director of the film Through the Air previously. The screenplay is also written by Grivois, in collaboration with Ileana Epsztajn and Jérémie Guez. The film first opened in France earlier this year. Signature Ent. will release 15 Minutes of War direct-to-VOD in the UK on June 17th. There's no US release set yet. Interested?